Sheriff Joanna Brady’s best intentions to stay on maternity leave take a hit when a serial homicide case rocks Cochise County, dragging her into a far-reaching investigation to bring down a relentless killer in this chilling tale of suspense from New York Times bestselling author J. A. Jance. This time Sheriff Joanna Brady may expect to see her maternity leave through to completion, but the world has other plans when a serial homicide case surfaces in her beloved Cochise County. Rather than staying home with her newborn and losing herself in the cold cases to be found in her father’s long unread diaries, Joanna instead finds herself overseeing a complex investigation involving multiple jurisdictions. Filled with the beloved characters, small town charm, vivid history, intriguing mystery, and the scenic Arizona desert backdrop that have made the Joanna Brady series perennial bestsellers, this latest entry featuring the popular sheriff is sure to please J. A. Jance’s legion of fans. Field of Bones by J. A. Jance is a 2018 William Morrow publication. When a skull is found, it leads to the discovery of a body- and then more bodies. Obviously, Cochise County has a serial killer on their hands. Deputy Chief Tom Hadlock feels out of his depth and before long Joanna, the newly elected sheriff, is in the middle of this disturbing, tricky investigation. Meanwhile, Butch is off on a book tour promoting his cozy mystery series, and Joanna delves into her father’s journals, discovering things she finds helpful in understanding her parent’s complex marriage. While Joanna and other members of law enforcement work to catch a killer, the reader follows, Latisha, one of the women the killer is holding hostage, as she recounts her descent into this living hell and her fight to stay alive. This eighteenth installment in the Joanna Brady series may be the grittiest, most harrowing, one to date! There is a lot going on in this one, with several law enforcement units involved, Joanna’s encounters with journalist, Marliss Shackelford, and the revelations discovered in her father’s journals, as well keeping up with the killer’s thought processes, as well as Latisha’s. Like psychological thrillers today, at one time the serial killer plot line was so over saturated they lost their shock value and thus became rote and powerless. However, recently, I’ve seen a few stellar serial killer series out there, which have begun to breathe new life into the tired old trope. I have found myself turning to them for - wait for it- a change of pace! So, when Jance brings a serial killer to Cochise County, instead of groaning, I was ready to dive in with enthusiasm. I was not disappointed! The story did slow down in some places as Joanna is taking on the role of Sheriff, and is supposed to be on maternity leave, giving more time to characters we have not gotten to know yet. Jance spends a bit of time detailing these character's backstories, which did mess with the momentum a bit. But! I’m thinking we are going to see some of these folks in future installments, so this book is a little like a transition book, as Joanna’s life has once again taken a new and interesting turn. 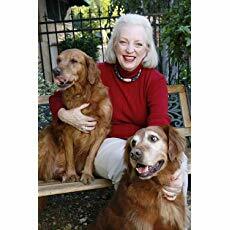 In fact, if you have been curious about the Brady novels, but felt overwhelmed by the sheer volume of books in the series, this book will give you plenty of information so that you won’t feel lost going forward. But, after a few lulls, the story becomes absolutely riveting. The serial killer, known as ‘The Boss’ is one mean, creepy, evil dude. His inner thoughts are hard to read and are genuinely the stuff nightmares are made of. But the star of the show is Latisha! It’s been a long time since I’ve found myself cheering on a character with such passion. Latisha's fighting spirit and sheer tenacity stayed with me for days after finishing this novel. While this installment is quite a bit darker than usual, and long- time fans may be somewhat frustrated by the long winded backstories, I thought this was an exceptional chapter in the series. I’m looking forward to seeing the series continue to grow and adapt. I hope to read Joanna Brady mysteries for a long time to come! J.A. 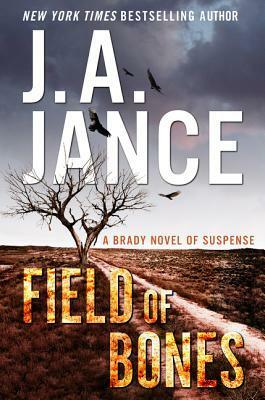 Jance is the top 10 New York Times bestselling author of the Joanna Brady series; the J. P. Beaumont series; three interrelated thrillers featuring the Walker family; and Edge of Evil, the first in a series featuring Ali Reynolds. Born in South Dakota and brought up in Bisbee, Arizona, Jance lives with her husband in Seattle, Washington, and Tucson, Arizona.